Currently, we have over 300 partners within the organizations and agencies of the three counties. If you would like to become one of our partners, or if you would just like to see more information, please visit the Early Learning Hub website. 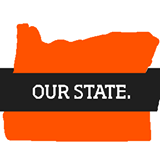 The Oregon Coast STEM Hub is a collaborative effort of more than 50 partners, including coastal school districts, post-secondary institutions, non-profits, government agencies, and businesses. Located at Oregon State University’s Hatfield Marine Science Center, the Oregon Coast STEM Hub supports integrated Science, Technology, Engineering and Mathematics (STEM) education. We leverage local and regional resources to promote college and workforce-ready students who are equipped to pursue STEM careers and address real-world challenges. We seek to improve STEM education opportunities for all students along the Oregon Coast by promoting best practices in STEM education, connecting in and out-of-school learning, facilitating communications amongst stakeholders, and mentoring students and educators.